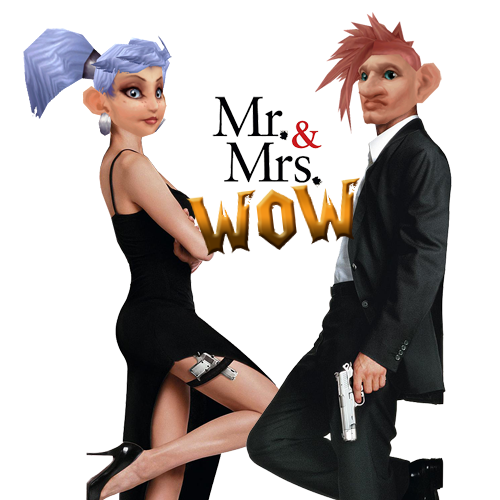 Mr and Mrs WoW – Page 2 – A blog following a British couple on their gaming adventures in World of Warcraft and beyond! We are Dae and Strike! We have both been Blizzard game enthusiasts for many years! 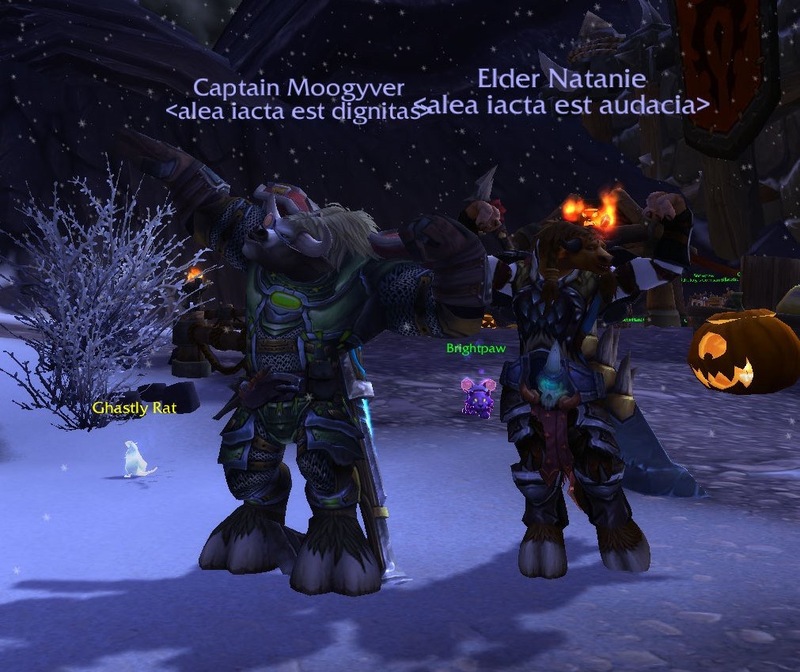 We both run Critical Miss on Draenor/Echo Isles US – Dae is GM and Strike is the Raid Leader. 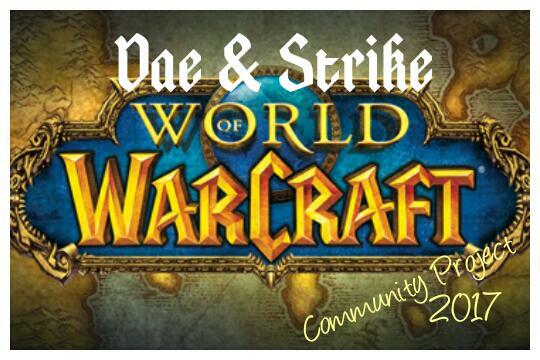 Dae is a Teacher and former WoW podcaster and Strike is former US Air Force. Would you share a little piccie? We have been together for over 2 years. We met each other as members of the same raid guild. It is actually funny – when Strike joined the guild he came off as kind of pretentious and I was not a fan. I would go so far as to mute him in voice chat during raids. 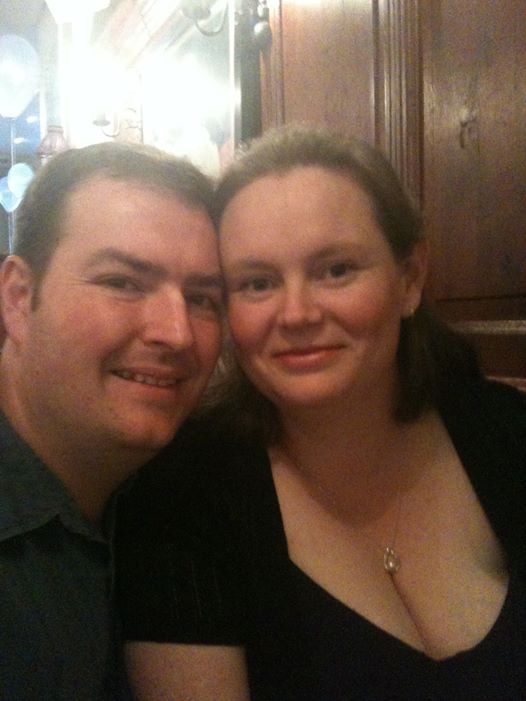 I love this – from muting to married, what a story!!! One day, he asked me to do the Field Photography achievement with him – so I decided to give him a chance. 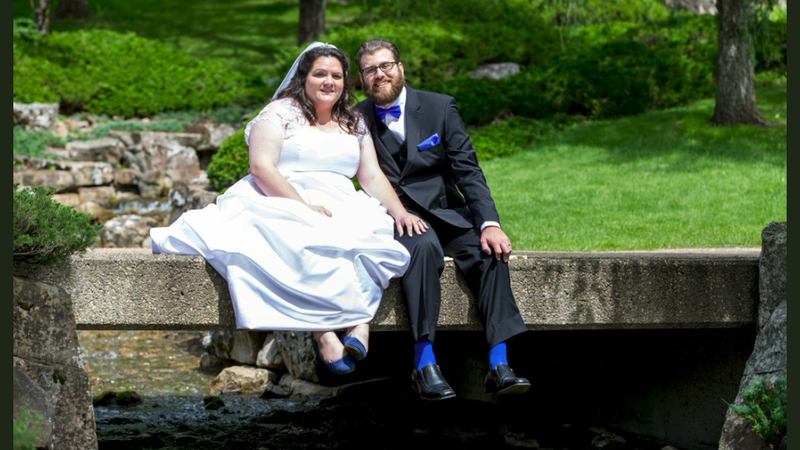 He proposed at BlizzCon 2015 and now we have been married for over a year! 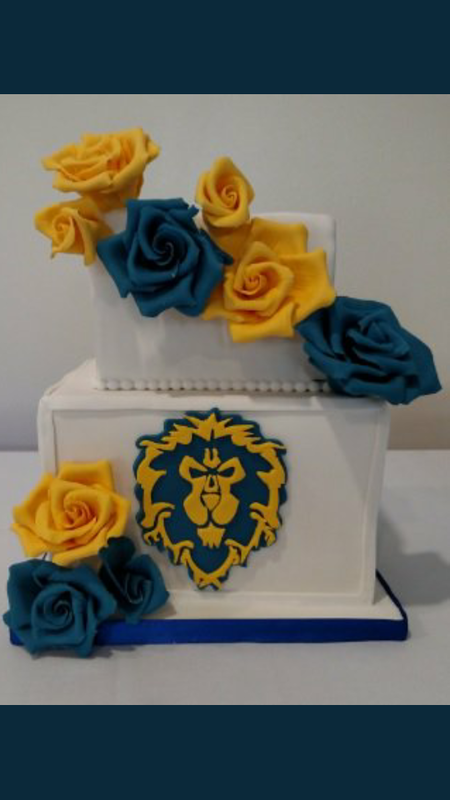 Our wedding cake… because ALLIANCE! I need to know more about this Blizzcon proposal!!!!! We were attending some of the after parties at the Hilton and just kind of hanging out. Next thing I know, Strike takes out a little box and asks if I want to be his wife. And of course, I say yes! We got to celebrate the evening surrounded by friends and guildies. We even got to share the news with Hazzikostas, as we bumped into him. It was an amazing evening! What a brilliant story and such lovely memories! We tend to play the same games together. I usually like to play Healer/support and Strike is very much a Tank, so it works out well! But life has been hectic, so a majority of our time spent in games is now in WoW just for raiding and mythic+ progression. I love the little Pepe perched on there! We both are pretty big achievement hunters, so we like to go off together and try to get as many as we can. Lately it has been completing the pet collection achievements… Still working on Wrath of the Lick King! These seemingly mundane runs are so much better with a buddy! Totally agree. Since it is what brought is together, it remains a big part of our lives. 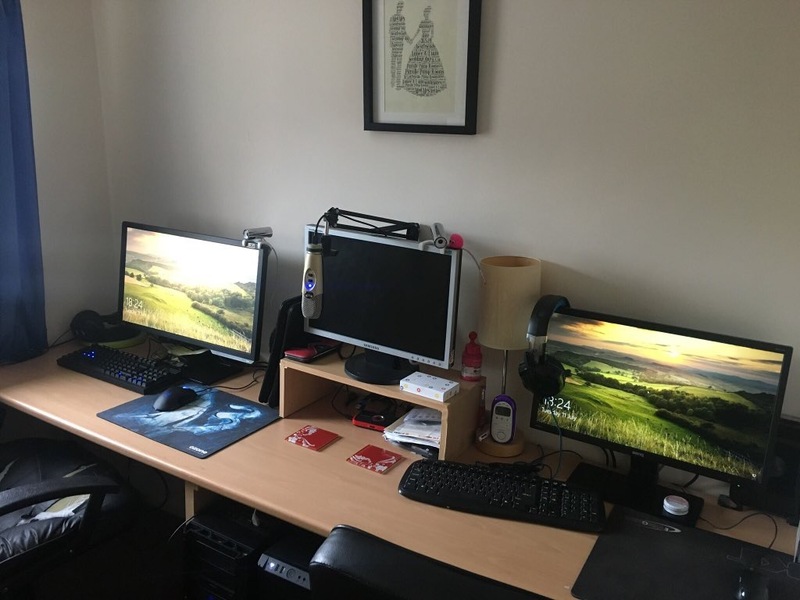 Whether one of us is feeling down, so we take a time out and go to our special place in Azeroth, or we just need to get out some frustration in an Overwatch quick play – it’s always great to have my player two by my side! Where is your special Azerothian place? Strike may be the guild raid leader, but I am definitely the relationship raid leader. And no, not because I like to be bossy and yell at him. We both have very different personalities and I tend to play the organization role because I hate being caught unprepared. Strike’s strength is thinking and reacting on his feet. So, I would say that we complement each other perfectly! Since I am a Priest healer, I would be the bubbler and the bead collector. 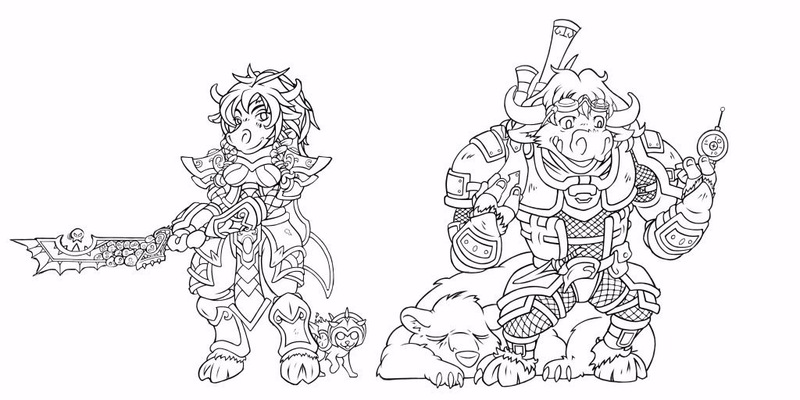 Strike plays a bear Druid/Rogue, he would kill the kobolds. This is also usually how questing goes for us! We are going to continue to run a guild together and keep making it stronger and stronger! There will always be more achievements to get, more pets to catch and more raid bosses to kill!! Most of the time, Strike would let me have it. I have obtained both the Life-Binder’s Handmaiden and the Grand Black War Mammoth this way. We were both going to roll on handmaiden, but he found it would be my 300th mount, so he passed. The one that is on reserve for Strike is Mimiron’s Head! Thank you both of you for participating. I think your wedding cake is a thing of absolute beauty! We are Cinder and Thor, and we live in Melbourne, Australia. I had to ask… here in the UK we are moaning about how warm it is. What’s it like there?!! Everyone has personal preferences for weather, so I think it’s fair enough to feel uncomfortable in temperatures that aren’t normal for your area. I personally hate anything above around 23 degrees myself! BUT to put things in perspective- summers where Thor and I live can go in to the 40’s on a regular basis… and that is REALLY hot. Where Thor grew up in Perth those temperatures could last for weeks at a time. I admire you guys for even moving on those days! Thor and I met on twitter in December 2010. He sent me a tweet about having fairy bread to make my day better, and I knew he was for me! 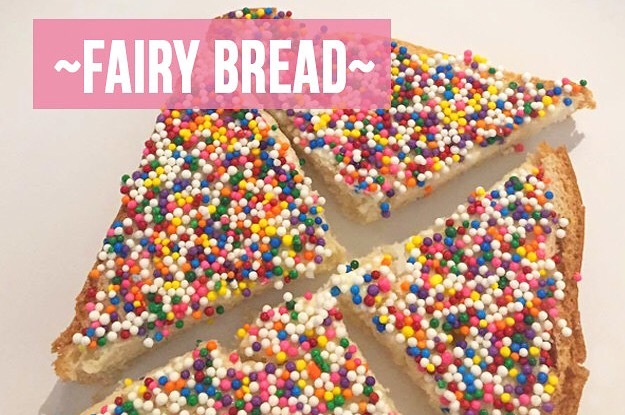 (I’ve included a pic of what fairy bread is for those who haven’t heard of it). This is such a lovely story! We both lived on opposites sides of the country, and flew back and forth to each other for a few months before Thor made the move to live permanently in Melbourne with me. We’ve been living together now for… 6 years it will be in December. It’s far too messy to share with everyone on the internet!! 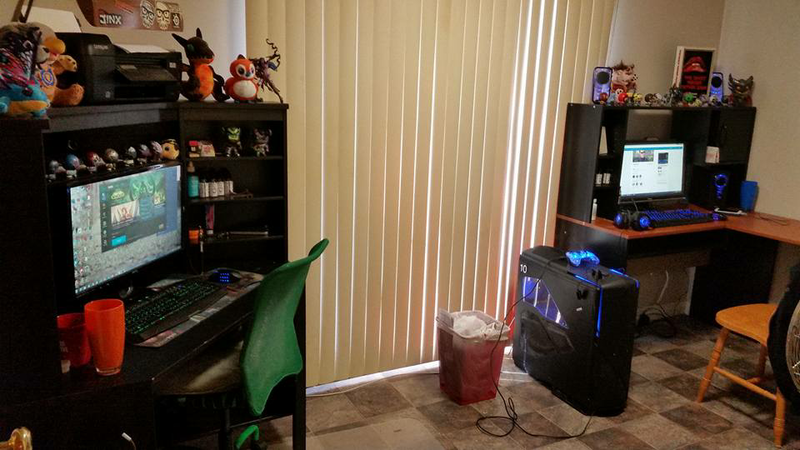 We live in a small apartment, and our gaming room is very small indeed. Our computers come together in a corner… it’s hard to explain. But we’re very close to each other, so it’s nice. So yes, we do like to play games together, but we’re also fine just doing our own thing. C- Thor got me started in Alliance so we could play together, and it’s always been where my heart is. 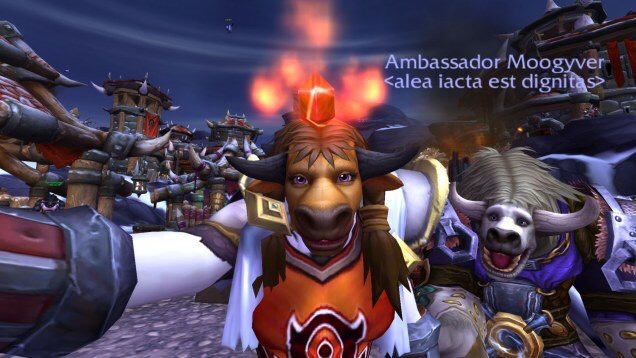 We were both Horde for a while and I just didn’t enjoy it. All the NPCs were so mad all the time! Mario Kart! We’re quite competitive. Thor also likes to watch me play Zelda on the Switch. Yes. It’s something that we have in common. 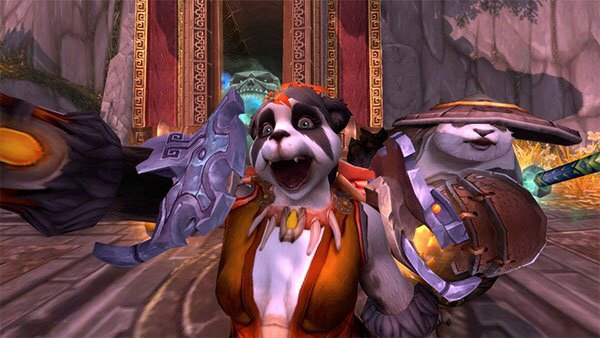 Thor got me into WoW specifically so we would have a hobby that we could enjoy together. Even though we’re not playing the same games anymore, we still get to share in each others’ successes and appreciate the time and effort that sometimes goes into getting them. Thor drives! I have bad sense of direction… also I get too distracted by things around me. We both play different roles (me Heals, Thor Tank or DPS usually) so we bring different perspectives to raids. Sometimes just talking things out together helps us figure them out. But for the most part, we leave it to the guild’s raid leader. Although when it comes to older content, Thor would usually take the lead because it would just be the two of us and he’d be Tanking. Most of our disputes are related to general frustration with struggling on a boss fight in a raid. We both have a tendency to shut down a bit, and stop communicating for a while which can lead to misunderstandings. But we’re also very well aware that any frustrations we’re having are to do with the game and not each other, and once raid is over we’re back to our usual silly selves. It depends on how good my DPS set is at the time (given I main a Healer). Usually, Thor will run around because he’ll always have the higher DPS gear, so he will kill and I’ll collect. But when I get a bit more gear, Thor will round them all up so that I can spam chain lightning all over their faces. Then we giggle and pick up all the loots together. Well, we’re seeing how things go with me continuing to raid mythics and Thor taking a break. He’s really excited about all the games coming to the Switch, and I’m happy to play those with him. It’s already strange not raiding together… only time will tell. 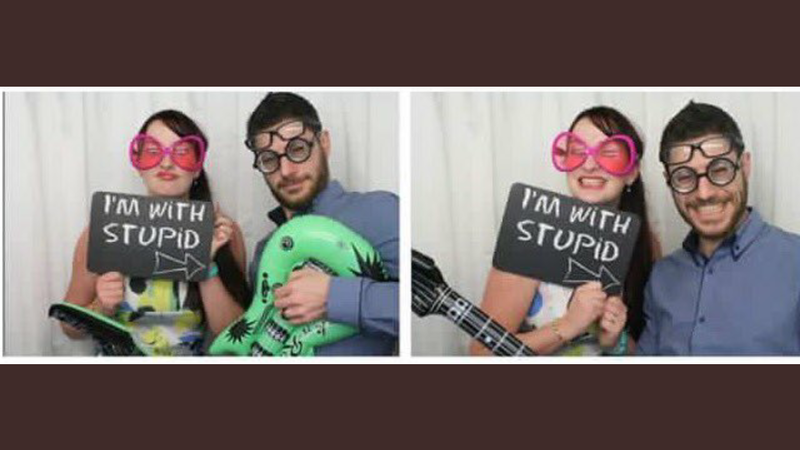 I think in some ways we’ll always be playing some sort of games together though. We’ve had this happen before. I was new to the game and Thor took me to try and get Ashes of Alar. After only a couple weeks it dropped, and despite my protests, he absolutely insisted that I take the mount (to the point where he clicked on it for me so I would have it!) He kept farming that mount, and years later it still hasn’t dropped for him again. Cinder is on twitter: @cinder_tweets – and my website is here.